​Arsenal midfielder Aaron Ramsey has issued a statement to fans of the club thanking them for their support ahead of his free transfer to Juventus at the end of the season. The 28-year-old has penned a four-year deal with the Serie A side that will see the Welshman earn around £400,000 per week, making him the highest paid British footballer in the world. While ​Ramsey's move is only set to take place at the end of the campaign, the midfielder has taken to ​his Twitter account and delivered a personal messages to fans of the Gunners, promising to give '100%' during his remaining time at the club. The statement said: "As you may have already heard, I have agreed a pre-contract with ​Juventus Football Club. "I wanted to issue a personal statement for all the Arsenal fans who have been extremely loyal and supportive. You welcomed me as a teenager and have been there for me through all the highs and lows I've encountered during my time at the club. "I will continue to give the team 100% and hope to finish the season strongly, before heading on to my next chapter in Turin. Kind regards, Aaron." Ramsey will have spent 11 seasons at ​Arsenal once this season comes to an end, having signed in 2008 for £5m from Cardiff City. The midfielder, who has made 361 appearances for the club in all competitions, won three FA Cups - scoring the winner in both the 2014 and 2017 final. 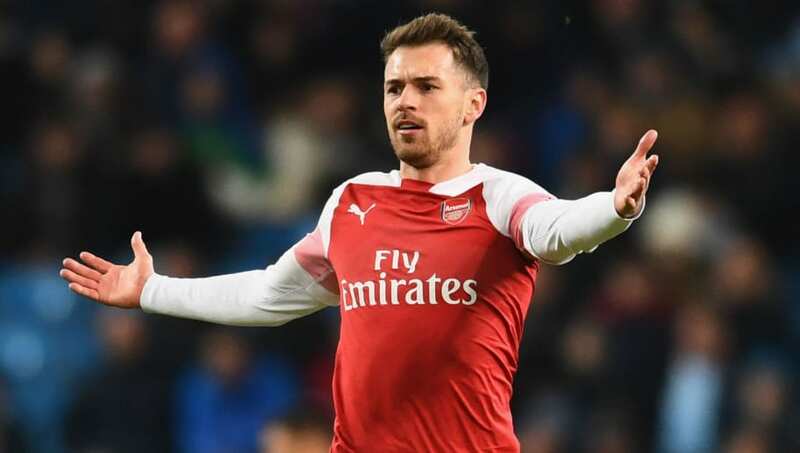 Ramsey will hope to guide Arsenal into the top four before he leaves at the end of the season, with the club just one point outside the Champions League qualifying places, while the Welsh international also has a chance to sign off by winning yet more silverware with the Gunners in the last 32 in the Europa League.